Whether you are looking to refresh your look or appear years younger… there are many reasons why you should consider micro-ablative skin rejuvenation. 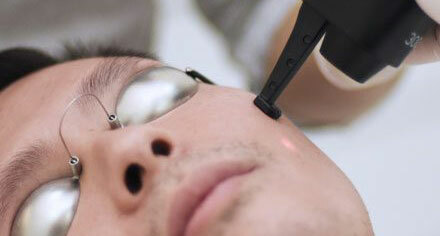 The skin is treated one micro portion at a time, repeated thousands of times. Each micro column receives just enough laser energy to vaporize the aged skin while also stimulating new collagen growth of surrounding tissue. It’s more than skin resurfacing, it’s deep skin rejuvenation. The entire face can be treated in as little as 15 minutes, with results lasting years given proper care and sun protection. Topical anesthetic makes the procedure very easy to tolerate. Afterwards, you may experience a mild heat sensation similar to a sun burn, itchiness and dryness in the treated area as it is healing. Since Smartxide DOT is micro-ablative, recovery time is significantly shorter than fully ablative technology. Within the first few days of treatment, you may experience some redness and swelling with minimal pain. Each micro channel or ablation will quickly heal and you will be able to resume to your regular schedule in as little as 1-2 days.